Alexandria is a largely industrial suburb with medium to high-density residential areas, light industrial use and warehousing. 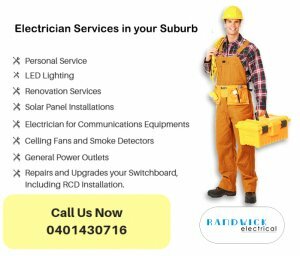 In a suburb with a diverse range of needs, Randwick Electrical Services strives to be your go-to choice of electrician in Alexandria. Updating electrical networking is a common project for large and multi-tenant buildings. If you're looking to save money by switching from a traditional network to an embedded one, the experienced technicians at Randwick can guide you through the process. Randwick Electrical Services is not only your go-to electrician in Alexandria, Sydney. We can offer advice and provide installation and maintenance on a range of alarm systems, security systems, door entry systems, and CCTV systems. Randwick Electrical wants to provide you with efficient and intelligent electrical solutions. If you’re curious about making your building more efficient, our electricians will always give you honest and trustworthy advice. If you need professional electricians to help you reach your energy goals properly, contact Randwick Electrical for a free quote. We know how overwhelming it can be to find a reliable contractor. To make the process of selecting the right electrician easier, we quote transparently so you know exactly what you’re getting. Any and all questions are welcomed, both during the quoting process and as we’re providing your electrical service. We arrive on time or call if we’re going to be late. We do a great job, and we clean up after ourselves! If you’ve ever had a frustrating experience before, know that Randwick Electrical is a different kind of service. We’re tradies you can trust.